dance.net - My first custom solo!!! (10005714) - Read article: Ballet, Jazz, Modern, Hip Hop, Tap, Irish, Disco, Twirling, Cheer: Photos, Chat, Games, Jobs, Events! I'm in love with my new dress! Michelle Lewis was so good about incorporating my ideas It fits perfectly as well! 14 Replies to My first custom solo!!! re: My first custom solo!!! so pretty!! what is the back like? wow that is fabulous! The bird motif is really nice, congrats! SO GORGEOUS!! I really love Michelle Lewis Designs dresses! Congratulations and best of luck in your new dress! My very first words upon seeing this beauty were, "Ooh, NICE!" I love the Kells birds Do post a picture of the back. This is absolutely gorgeous! I love it!!! It's beautiful! I love that it's modern but with traditional motifs. Pretty color too. That is fabulous! Love ML dresses! 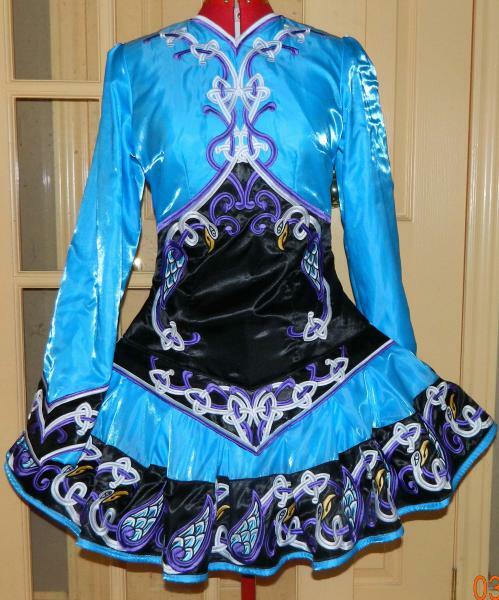 Please post a pic of you wearing it at your next feis!! So pretty! 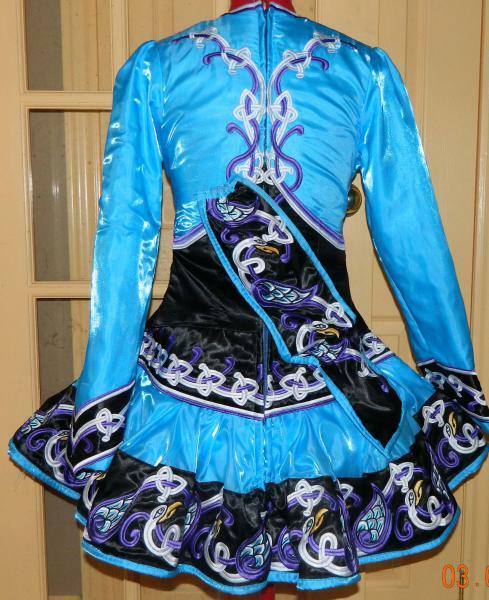 I love the whole thing, especially the bodice<3 does it pick up light really well? It looks like it does by the way it reflects in the picture. So very nice. The birds are a wonderful addition. Just lovely! Enjoy dancing in your beautiful new dress.